London’s a maze, both in space and time. Its hidden alleyways, buried layers of history, and extremes of poverty and wealth all cry out for detection. When I set about creating my own investigator, DC Nick Belsey, I knew he needed to be a man of unquenchable curiosity but also moral recklessness to fully explore London, someone who knew the seedy side as intimately as the day to day humdrum side of work and life. But London-based crime fiction goes back more than 150 years. 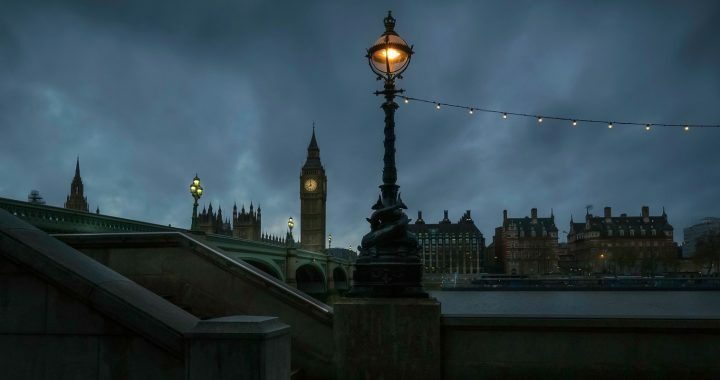 It’s no surprise, perhaps, that the city’s organized chaos saw the first criminal investigation department, the first serial killer hysteria (Jack the Ripper, of course), and, sure enough, some of the very first genre-defining detectives in fiction. Charles Dickens immediately saw the potential. In Bleak House (1852), he introduces the ever-watchful Inspector Bucket. Bucket, like so many of the detectives he spawned, is an amazing reader of people. Equally important, he’s a tool for navigating society, following the thread that connects the secrets of Lord and Lady Dedlock to the fetid slum of Tom-All-Alone’s. 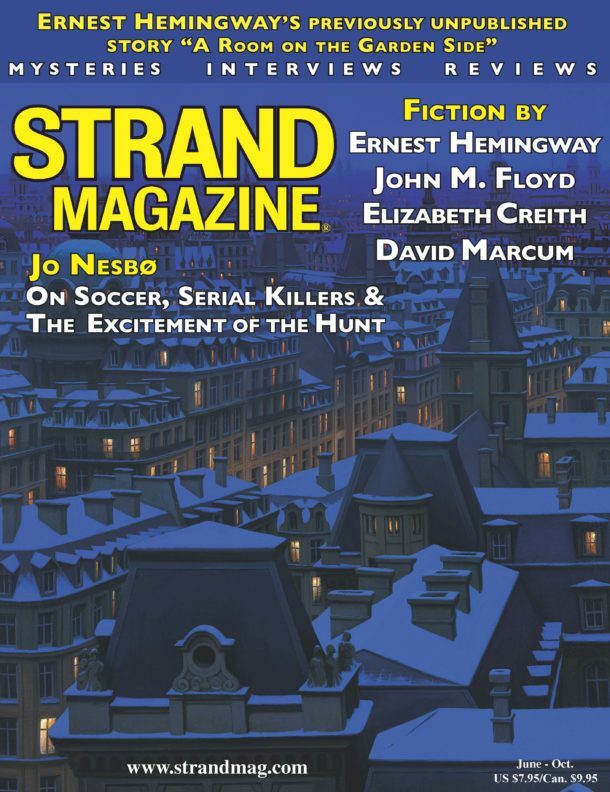 With Sherlock Holmes, Arthur Conan Doyle made the lamplit streets his own. “The Red-Headed League” (1891) encapsulates the web of small businesses, secret groupings, and mysterious schemes in this convoluted city. When a pawnbroker appears at Holmes and Watson’s Baker Street headquarters, it takes Holmes to see how the color of the man’s hair might connect to an artificial knee company—and to the bank vault sitting temptingly beside his pawnshop. A different kind of smoke shrouds London in Graham Greene’s The End of the Affair (1951), this time from the Blitz bombings. Though not technically a crime novel, it’s so thick with mystery it deserves a place here. Maurice Bendrix hires a private detective to follow his old lover, Sarah, through the new ruins, and Greene’s depiction of obsession rekindled against the backdrop of a war-ravaged city is sublime. 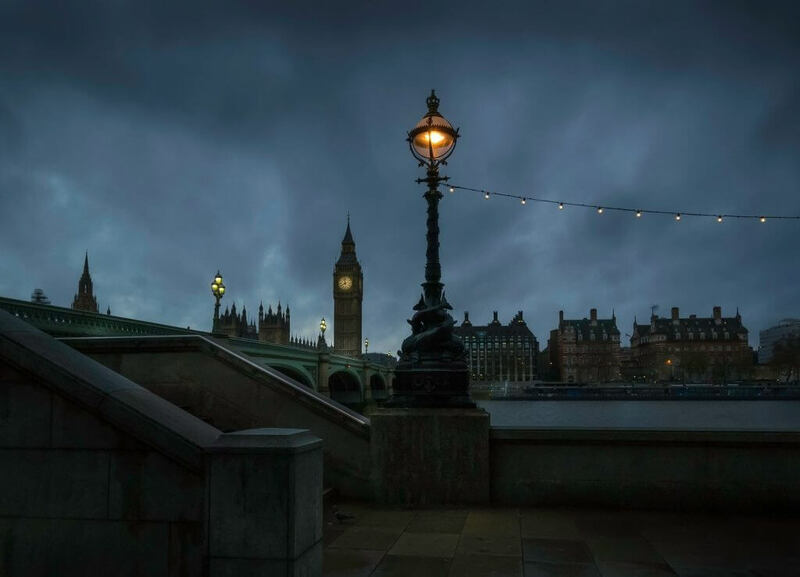 John le Carré grants us access to the most secret side of London: its intelligence services. Call for the Dead (1961) introduces the unassuming spy-hunter George Smiley along with le Carré’s fictional version of MI6, “the Circus.” With a plot centered on Smiley’s investigations into an apparent suicide by a man he’s recently interrogated, it also provides an interesting bridge between the mystery novel and the spy sub-genre le Carré would perfect in the coming years. Derek Raymond, founder of British noir, associate of the Krays, erstwhile Soho pornographer. He Died with His Eyes Open (1984) inaugurates the series, following an unnamed sergeant at London Metropolitan Police’s Department of Unexplained Deaths. He handles lowlife murders, in contrast to the attention-grabbing homicides handled by Scotland Yard, and it makes for some bleak, sardonic, and very London reading. Hawksmoor (1985) by Peter Ackroyd epitomizes the meshing of crime, history, and the uncanny that London encourages. The novel is split between the 18th century—where architect Nicholas Dyer combines the construction of churches with the practice of Satanism—and the 20th century. DCS Nicholas Hawksmoor is called in to investigate a bizarre series of murders that have occurred in and around Dyer’s churches. Dark forces are clearly at play and we’re left to consider a tension between London’s moneyed order and its less rational shadow-side. For a less esoteric but equally engrossing dip into London’s past, Sarah Waters’s Fingersmith (2002) gives a twist of lesbian eroticism to a Victorian London awash with petty criminals and lunatic asylums. It begins in grimy South London with 17-year-old orphan Susan Trinder raised in a household of fingersmiths (pickpockets). Waters brings smoggy London circa 1862 to new life while providing a damning critique of Victorian moral and sexual hypocrisy. Contemporary crime writer Cathi Unsworth also likes to unpick London’s past to see it afresh. Set against the background of 1960s London, her novel Bad Penny Blues (2009) explores the murky world of the unsolved “Jack the Stripper” murders in which the bodies of eight prostitutes were found in or along the Thames. A search for the killer brings PC Pete Bradley deep into Soho’s underbelly. Meanwhile, Stella, a young fashion designer, suffers from nightmares that echo the last hours of the dead women. Unsworth delivers all the expected thrills of swinging London alongside an often-forgotten dark side involving both sexual and political violence. In a slightly different mode, J.J. Connolly’s riotous Layer Cake (2000) gives us the London of the 1990s. It’s narrated by an unnamed drug dealer whose retirement plan is complicated by a large shipment of stolen Ecstasy, some German neo-Nazis who want the drugs back, and the missing daughter of a wealthy socialite. A different decade from Unsworth’s investigations yet one equally marked by London’s edgy form of hedonism. Finally, it wouldn’t be London without the Tube, London’s subway system, which has been going as long as London detectives and has generated a fascinating sub-genre of literature in its own right. In King Solomon’s Carpet (1991) by Barbara Vine (Ruth Rendell’s alter ego), an eccentric man lives in a crumbling schoolhouse overlooking the Tube line, compiling his obsessive history of the Underground. A group of misfits is also drawn toward his house, including the enigmatic Axel, whose deadly secret casts a shadow over all their lives. These damaged outcasts are brought violently together by London’s mysterious Underground system. Very much how it feels traveling in rush hour! The Tiger in the Smoke, Margery Allingham. The Bryant & May books of Christopher Fowler are a hymn of love to London & wonderfully accurate not just in the geography but also in the ambience of each area. Always look forward to Ben Aaronovitch’s Rivers of London books – just wish he’d write a little bit faster. I love all Anne Perry books.